It takes a lot of confidence to approach an emergency situation as a first responder. What if you got certified a couple years ago and are out of practice? Or what if you forget the proper steps to take when confronted with an actual emergency? 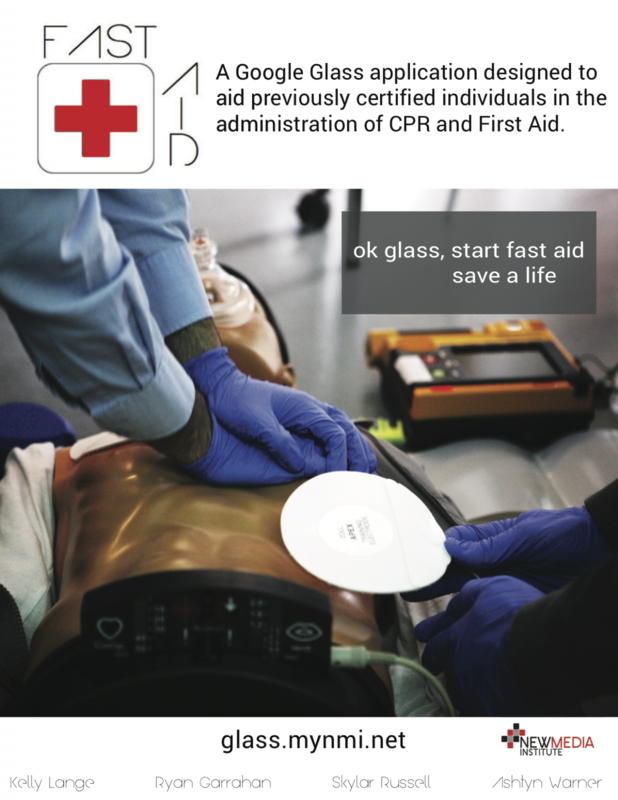 FastAid is a Google Glass Application that will not act as a replacement for CPR and First Aid certifications, but rather as an aid to supplement professional training and instill confidence within certified individuals during emergency situations. FastAid will be used by employees who work in high alert situations such as flight attendants on airplanes, personal trainers in gyms and physical education instructors at schools and universities. FastAid aims to provide these individuals with an application that will aid them in the timely administration of the skills obtained during certification. We are leveraging Google’s Glass Software Development Kit to create an app that runs directly on Glass. Using a combination of static cards, live cards and immersive experiences, FastAid will be easily accessible when lives are on the line, no matter how chaotic the situation.